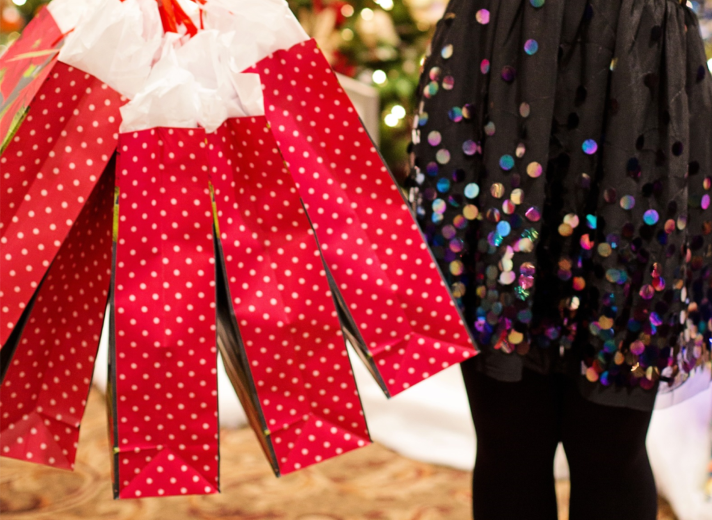 Did you overspend this holiday season? Read this. All of the hustle and bustle of Christmas is over but your account is looking anything but joyful and jolly. Sounds familiar? If we aren’t careful and strategic with our spending, it’s very easy to overspend and have to climb our way up from the money hole we created. I want to discuss a few ways you can bounce back financially and prepare for the next big holiday season, smarter. Look at the areas where you spent the most money and calculate the cost. Check to see when and where you did most of your spending. Was it online? Was it during Black Friday or the final days leading up to Christmas? Or, did you go overboard at the after Christmas sales? Create a budget and gift list early and save NOW! Decide on the amount you want to allot for the holiday season and begin putting money back each pay period. (dedicate an envelope type system for extra dollars saved or a Christmas savings account), $20-25 a month can add up, girlfriend! Shop super early. If you stumble upon irresistible sales on a great product, get it and properly store it. Sales will happen all year long. Make a list of the people that you want to give a gift and start looking early for sales. Do your own mani & pedi. Consider making this a part of your own self-care routine. Skip your run to get coffee and make your own at home. Have fun trying new flavors right in your kitchen. Take turns carpooling with co-workers. Work out at home in your neighborhood. You can’t be all things to all people. If you can’t afford certain luxuries, don’t go into debt to make the purchase. Awareness and being intentional about your spending and gift giving will be an important way to having a better looking bank account this time next year. You can do it! Are there other unique and practical saving tips you’d like to share? Let me know.